Holy brilliant shoes, Batman! 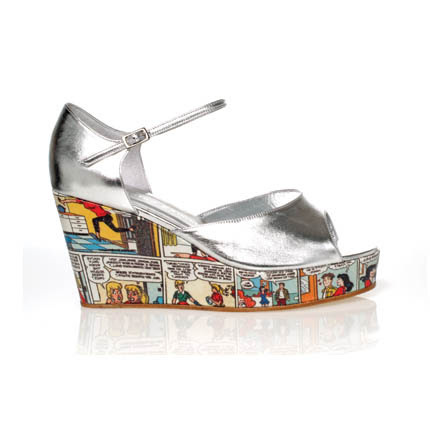 There are loads of comic book shoes available to buy. Shoe fans, assemble! 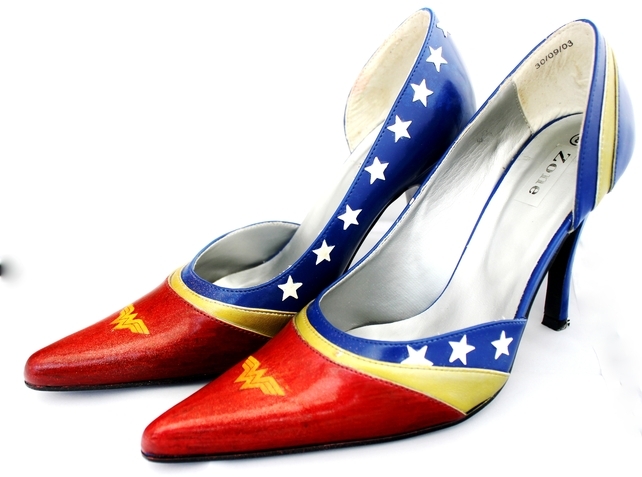 How cool are these Wonder Woman shoes? There's only one pair and they're a size 8. They're fabulous and just £55 from Unique and Geek on Folksy. They might actually have magical powers. 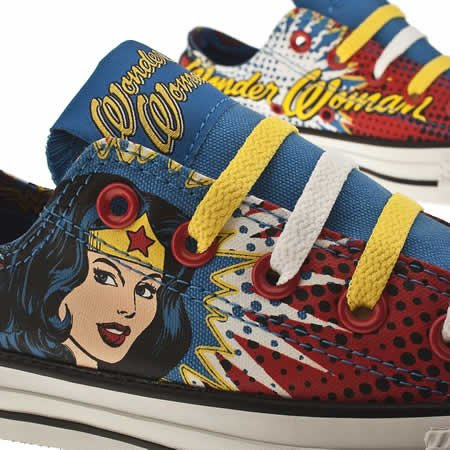 Oh, and those Wonder Woman Converse? Just £47 on Amazon. Soon they'll be on my feet. I actually featured these Angeline Tournier comic wedges wat back in 2009 and I'm still a little annoyed that I don't yet own a pair. Kat will be happy too see that they go up to a size 9. Also, how cute are these silver and yellow ballet flats? 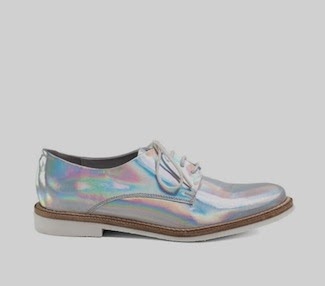 I wish they were less than £175, I adore them. I'm not even going to pretend that I could walk in these Chockers comic shoes. 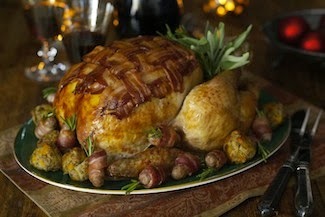 But they are just £25 so if you can, snap them up because they're pretty fabulous. 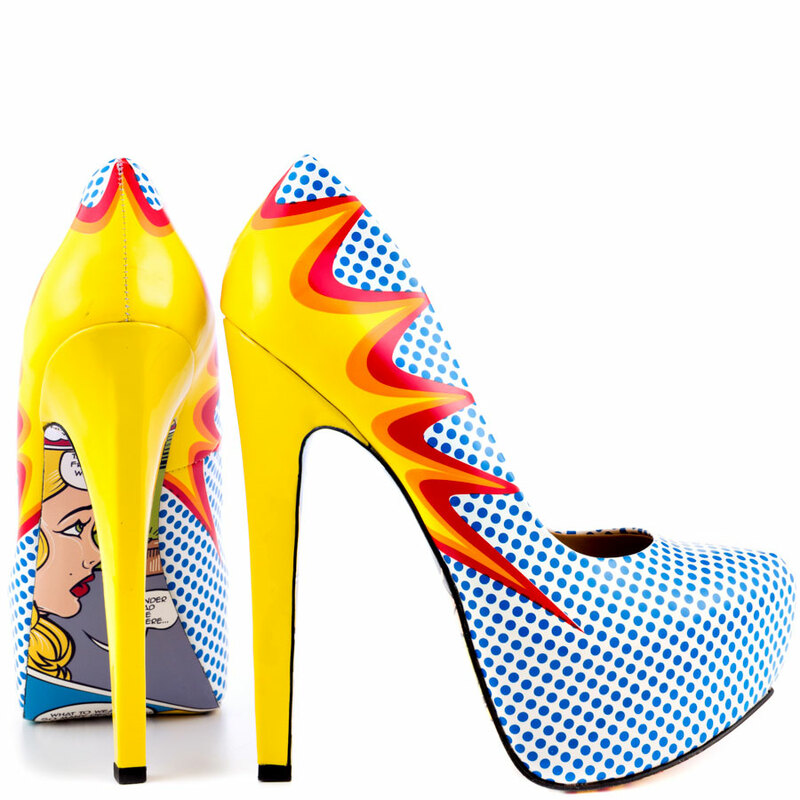 It's not often we feature products from the US, but I'm so very in love with these pop art comic shoes - look at the Lichenstein-inspired soles! They're $169.99. 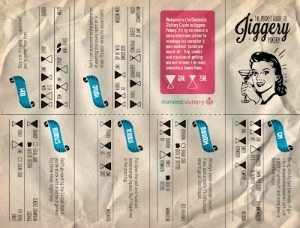 Remember we featured Geekyfoot a little while ago? Gasp! Ponays! 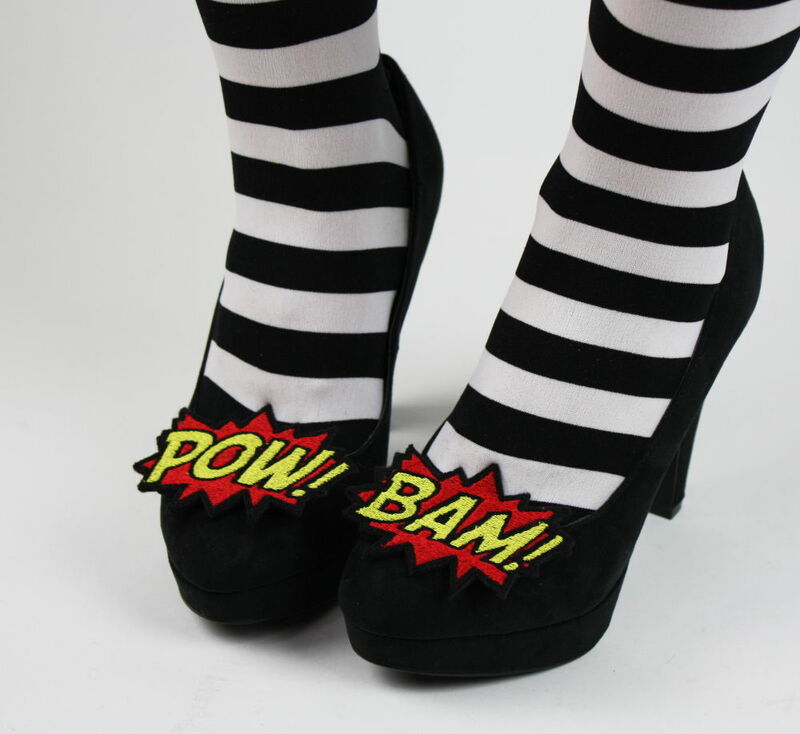 And don't forget these amazing comic shoe clips so you can give your favourite shoes a comic book makeover and be ready to save the world in seconds. I have those Converse! They were a birthday present from the boyfriend; they come in a really cool DC box. I love Geeky Foot, might have to treat myself soon. I love them so much. 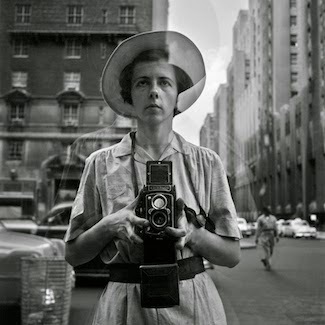 But not as much as the silver wedges. I tried to contact Geeky Foot when you last featured them as I wanted to get some shoes for my nephew, but I never heard back from them. Shame as the shoes look ace. Loving the Converse, and I don't think my boyfriend could object to more new shoes if they were comic themed. Bonus! I have these and a pair of poison Ivy Converse I lobe them very much and want the other pairs too! We quite want the She-ra ones as well. And apparently there are some Thundercat ones. 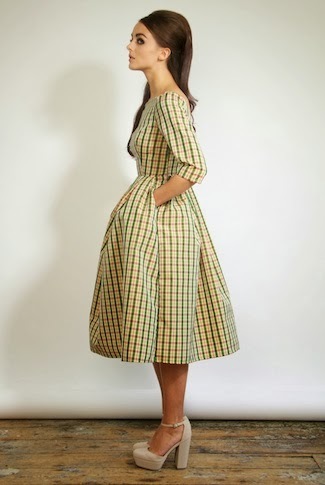 Oh, I'm just going to have to buy then entire range and never wear heels again. 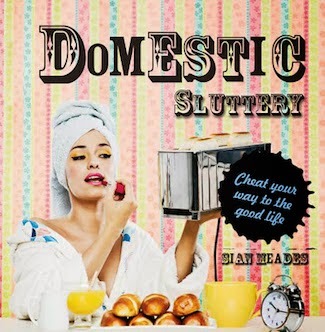 Oh Siany...Siany, Siany Siany. You have found my Kryptonite. 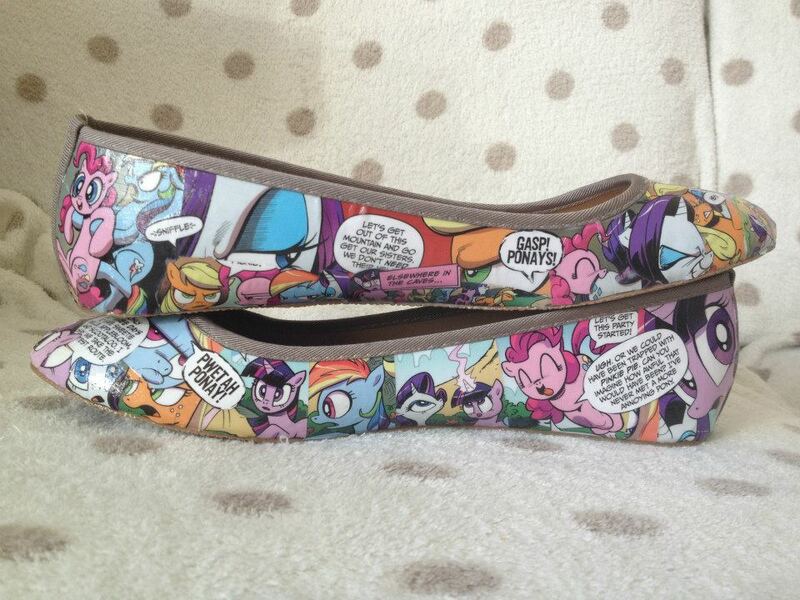 Geeky shoes! Oh my! 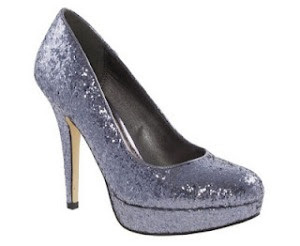 I'm the sort of girl who NEVER falls in love with and buys shoes, EVER and in one move you have undone me! I have now purchased the Chockers comic book shoes (except in the blue/purple colour combo instead of pink because it's much more my colour) and I am eagerly awaiting their arrival...whilst praying that their size 8 actually is a size 8 and fits me...wish me luck, Domestic Sluts! 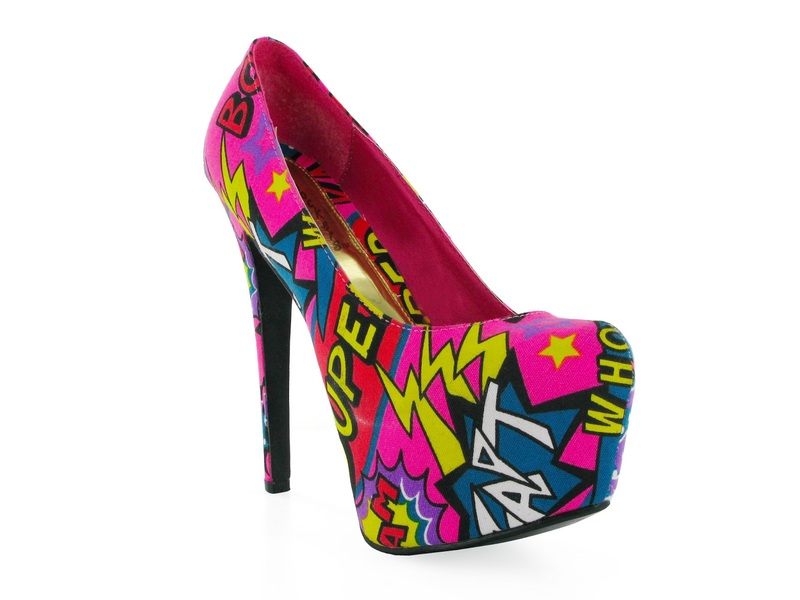 I NEED these shoes!! I would apologise for all of this, but I'm so excited that you get excellent new shoes.